Your kneecap works by sliding up and down a groove. Both patellar subluxation and patella tracking disorder occur when the kneecap does not move properly in its groove. Patellar subluxation is the partial and temporary dislocation of your kneecap. You may feel your kneecap completely slip out of place to the outside of your knee but return back in place. Patellar subluxation is similar but different to patella tracking disorder. When you have patellar tracking disorder, your knee cap does not move smoothly within the groove. It does not dislocate, but may shift or rotate off track, causing knee pain. 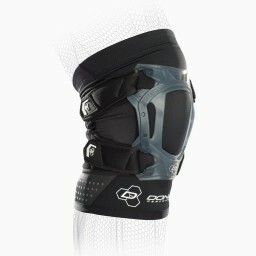 The best brace for patellar subluxation and patella tracking disorder sometimes known as patellofemoral pain syndrome will provide support to keep the kneecap in place and tracking properly. It is important to hold the patella in place with a brace as you play sports. 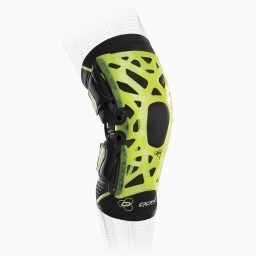 A knee brace will give you extra support as you run, jump or squat. Work on strengthening the muscles around your knee joint and icing after activity.